Raja Manta is a member of White Manta Fleet. This boat was made for divers and she has everything to suit their needs. Raja Manta has 12 cabins to welcome 24 passengers. There are eight staterooms with private facilities and four shares bathroom. The big boat's salon is very cozy and comfortable to relax after diving, chat with each other or enjoy watching TV. The dining area is open air and is perfect to observe the gorgeous view. Guest of Raja Manta can stay on the sun deck to feel sea air and to enjoy marine scenarios. Sun deck equipped with numerous of sunloungers a has a shaded area, so you won't get too hot. Dive deck of Raja Manta spacious. It has lots of storage boxes for your diving gear. Nitrox membrane allows filling rank for divers with EANx certification. Crew team of Raja Manta pays special attention to the safety on board. Boat equipped with necessary equipment: life vests, three emergency rafts, fire fighting equipment. 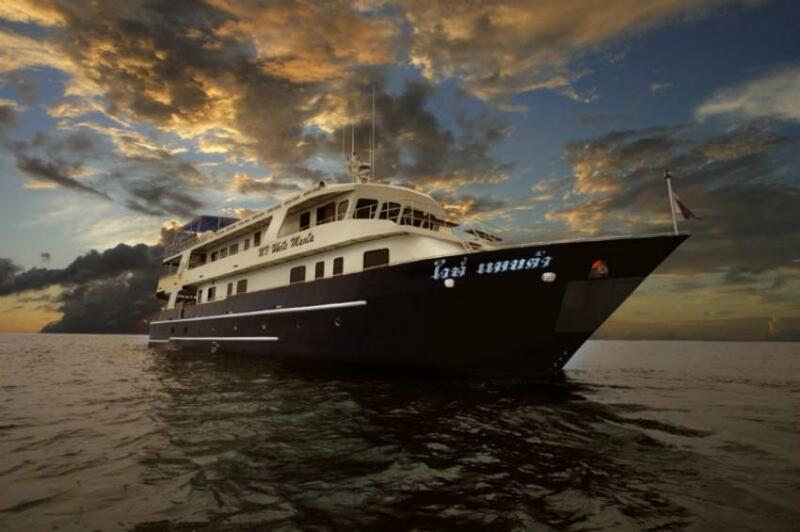 Raja Manta runs the most famous itineraries of Indonesia - Raja Ampat, Komodo National Park, and the Banda Sea. Raja Ampat is a true diversity. There is no such other place where divers can explore so many types of corals end meet so many kinds of fish. This destination will impress even the most experienced diver. As for Komodo National Park, these diving destinations is a must see of Indonesia. Coral mountains, walls, and pinnacles feature diving here. Also, Komodo is good for macro diving. Nudibranchs, pygmy seahorses can be spotted here. For those who is looking for big pelagic, Banda is a perfect choice. Plus dolphins and some of the whale types are often guests of this destination. Komodo National Park is best to see between April and August. Although diving is good here all year round. As for Raja Ampat, diving conditions are the best from October til the end of April.